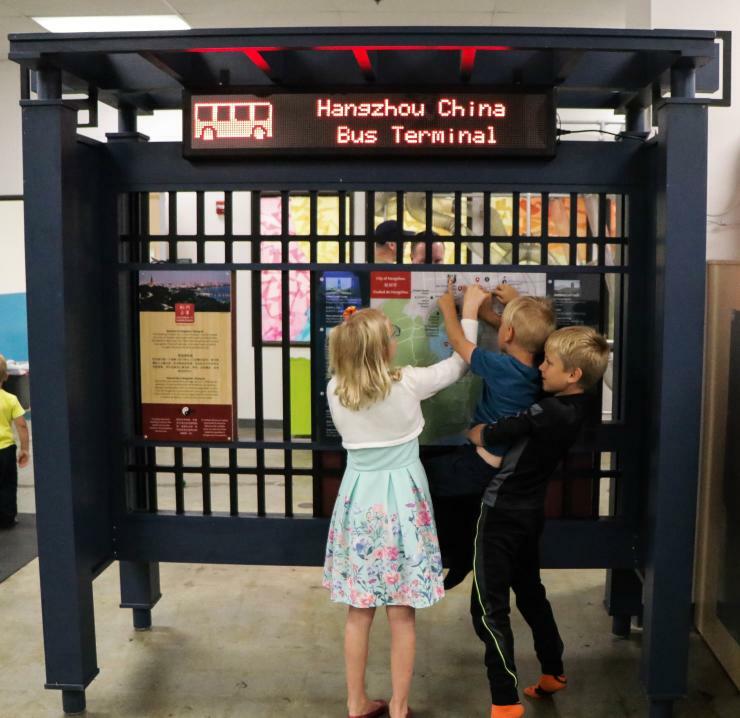 A new exhibit, Children of Hangzhou: Connecting with China, encourages visitors of all ages to discover life in China through the stories of children who live there. 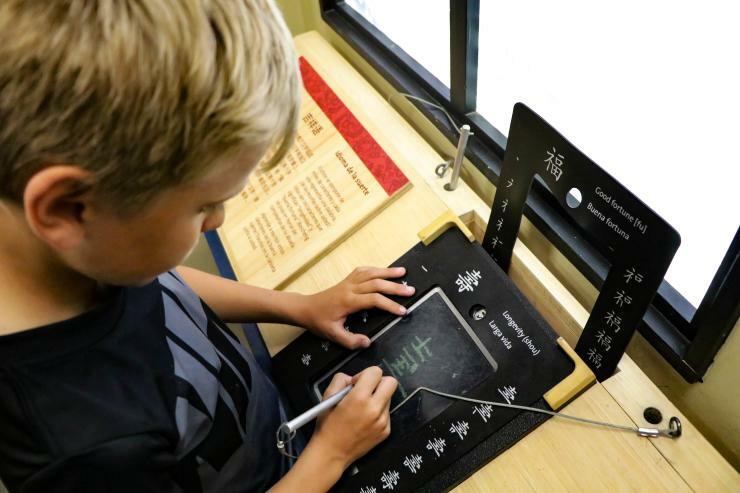 Learn how to write good luck and long life in Chinese at one of the exhibit stations. Four young people with different interests and talents serve as guides through the exhibition, introducing visitors to important elements of their daily lives in recreated environments based on their real homes, countryside, schools, theatre and city. 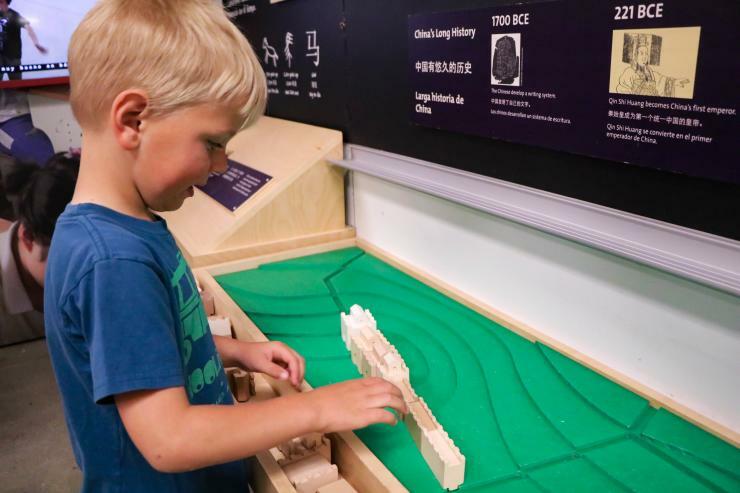 Through these children and related activities, visitors gain new awareness and understanding of Chinese culture and what it means to be Chinese. Visitors are first greeted by Doudou and her friendly wave hello. With DouDou, you discover life in the countryside. Children can help plant rice and also learn crafts from her grandmother. In the countryside, help DouDou&apos;s family plant rice and learn all about rice cultivation. Learn about China&apos;s long history and the amazing Great Wall, with original blocks for building it. At the Opera Theatre, Qianyun is learning how to perform traditional Chinese opera. 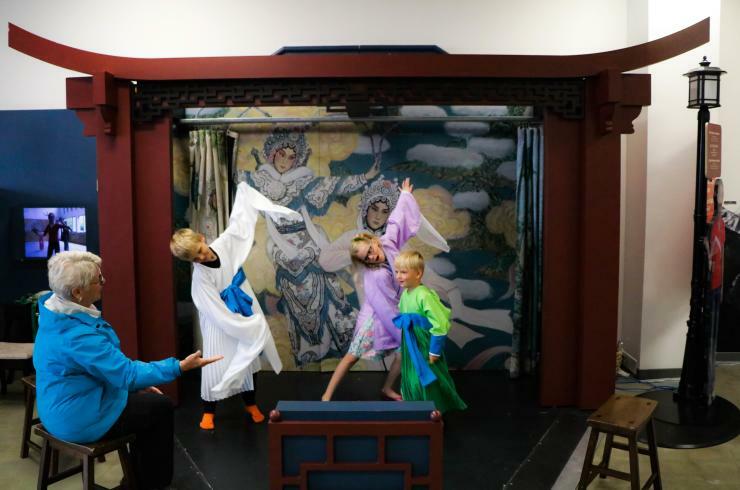 Children can join in by dressing up in real performance costumes and take the stage following along with a video of dancers. Parents, take a seat because it’s Showtime! Take to the stage and put on a show at the Chinese Opera Theatre! Get a taste of the importance of family by next visiting Weicheng’s apartment. A well-stocked kitchen serves up a hands-on experience into preparing and eating favorite recipes. Have a seat at the family dining table and enjoy all of the delicious parts of a traditional Chinese meal like duck soup, handmade noodles and yummy soup! Have a seat at the kitchen table, grab some chopsticks and be prepared to feast! Next, a stop at the bus station points visitors to the iconic centerpiece of Hangzhou, West Lake. All aboard! Visit the map at the bus station to explore the city of Hangzhou. In West Lake, a beautiful Pavillion is like “heaven on earth.” At this location, children can practice Tai Chi with a master. It is also a good place to take the time and learn to play the traditional Chinese board game, Wu Zi Qi. Recreation and relaxation are an important aspect of city life in China. 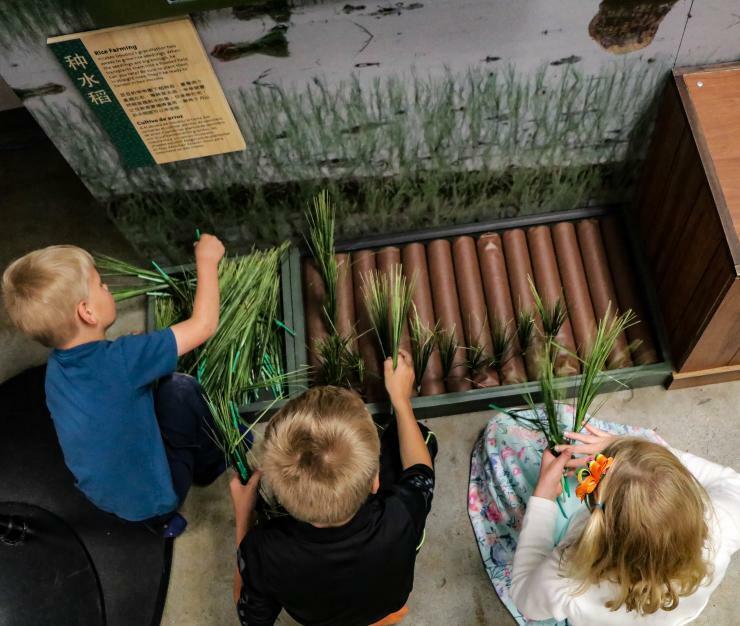 While the exhibit is geared toward children, adults can gain new awareness from interacting with the stations as well, and that’s just as important. With amazing speed, China has become a global powerhouse. Through the Children of Hangzhou, China is demystified by slowing down and experiencing what living in China is like, and what makes the culture tick. It’s powerful, very interesting and we encourage anyone visiting Fairbanks (and locals too!) 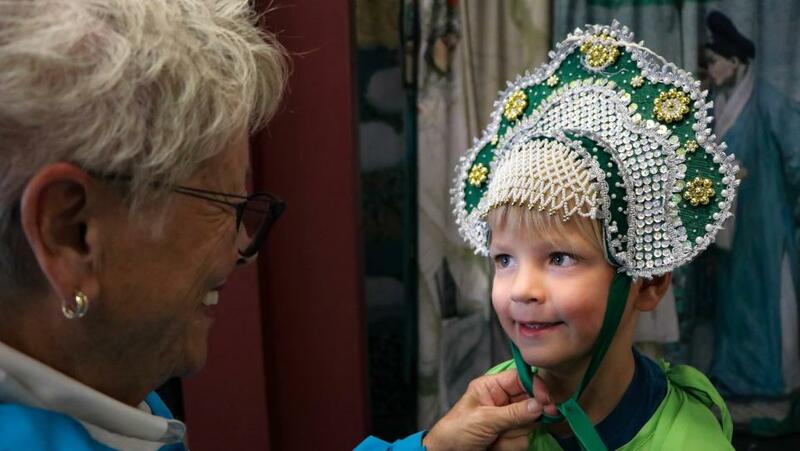 to visit the Fairbanks Children’s Museum for a taste of life in China.